We manufacture elegant and attractive labels and tags as per the shapes and sizes of the object on which they are packed and pasted. These labels can also be planned, designed and printed as per client specifications. We have a state-of-the-art in-house design unit, where our talented designers create brand new variations of existing designs. They are also qualified to create designs as per the requirements of the clients. These designer tags are unique and completely individualistic. 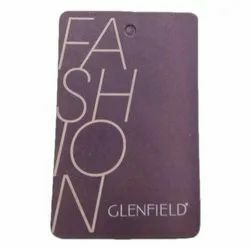 Our range of designer tags has successfully captured the attention of our domestic and global clients.